I would recommend Mark and Josh from JMark Home Inspection company to anyone needing a trustworthy, certified and licensed home inspector. They are always on time, very thorough and genuinely good people. 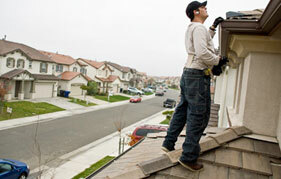 They are also extremely knowledgeable, experienced and responsive building inspectors. They go well beyond the basic 4-point inspection I have received from past companies. I have hired them for four building inspections over the last year and look forward to a continued, long working relationship. They have serviced my clients well and provide them with a feeling of confidence that they are making a good choice in buying the house. When it comes to buying an older home especially, my clients want to know the truth behind the walls and under the exterior and know that it is safe as well as where any problems or potential problems can be found. Josh and Mark's house inspection reports are essentially a manual on how to keep the new home up to par. Find a home with me and if you don't have an agent, then let's hire JMark as the property inspectors. Thank you for your continued great service! It's hard to find quality and quick real estate inspection, where no one will make errors and everything will go smoothly every time. But I found such a company in the face of JMark Inspections. Everyone at it is skillful, knowledgeable and do the reports courteous and efficient. 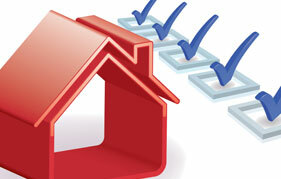 These agents are true experts in real estate inspection's fields. JMark Inspections were first referred to us by my brother when we were looking for a residential real estate inspection before we bought our new house. My brother had called them when he was looking for a building inspector and he couldn't stop going on about what a great job they did on the building inspection and report. We decided to give them a try and they did such a thorough job, checking things that we never would have even thought of! In addition to the four-point we expected of hvac inspection, electrical inspection, plumbing inspection and roofing inspection, they also did a complete pool and spa inspection as well as mold testing, asbestos testing and radon testing! Who would have thought we needed a chinese drywall inspection? Not us. John gave us the big picture of what we were getting ourselves into when we purchased our home and ensured that there were no surprises once we moved in and started living there. If you are in need of a licensed and certified home inspector in the Greater Houston area, call these guys! We have hired this company for building inspection and we were not disappointed. Mark was able to complete the job very well, only for two days. The price was fair and everything went smoothly. The building was suitable and his reports was wrote well and corresponded to the truth. The real estate inspection was done excellent. 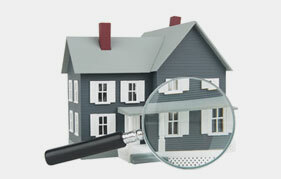 The inspector was very skillful and had a lot of knowledge about real estate inspection. It looked that the home inspector loves his job and did everything with a lot of passion. The whole inspection finished for a few hours and helped us to make our decision about the real estate. Extremely helpful inspection company, Mark and his team was very professional and erudite. They executed the inspection report within a couple of day, but it was accurate accomplished. Mark was very kind to explain me the things which was not absolutely clear for me. It was a wonderful experience and I would be happy to work again with such a nice inspection company! Real estate inspections at a high level three times! I was so impressed by J Mark Inspections the first time that I recommended them to my parents, they used them and my sister before buying her new home hired them! My family and I were very happy with the real estate inspections and the reports and we can not wish for more attention or care. They do their work like it is about their own home. Very friendly inspectors.